Based on a true story, Blow recounts the life of George Jung, an American who finagled his way into the burgeoning cocaine importing industry at the height of the Medellin Cartel's infamy. Despite what he may have thought, Jung himself was a small-scale player in a global business, and he was relatively quickly shuffled out of the deck of drug kingpins, landing repeatedly in jail. 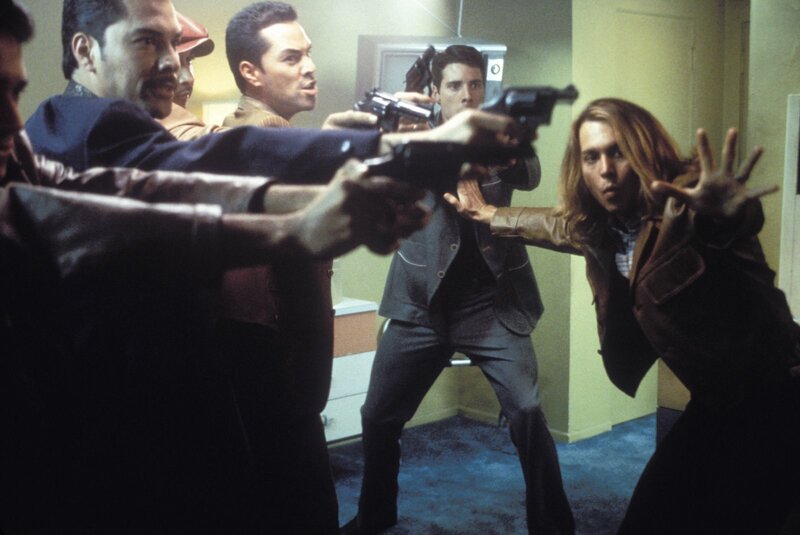 Blow relies on style and flair to make up for the limited talents of its central character, and Johnny Depp emits irresistible star magnetism. George Jung (Depp) was born and raised in a working class Massachusetts family, and he has a strong attachment to his dad Fred (Ray Liotta). Fred's strong work ethic does not compensate for the lack of good business skills, and the family ends up bankrupt. In the mid 1960s George moves to California and vows to never be poor or want for anything. He establishes himself as the local beach marijuana supplier for local distributor Derek (Paul Reubens), and quickly graduates to supplying weed to New England campuses, transporting it from California in the unscrutinized luggage of airline stewardesses, including Barbara (Franka Potente), whom he married. But the law is onto George, and he soon lands in prison, and Barbara succumbs to cancer. George meets Diego behind bars, who convinces him to graduate to cocaine trafficking. Upon his release George travels to Colombia where Diego arranges a meeting with Pablo Escobar, the brutal leader of the Medellin Cartel, emerging as the most powerful drug syndicate in the world. George becomes an importer funnelling Escobar's drugs into the hands of Derek for distribution in the US. But his downfall is already in the works. 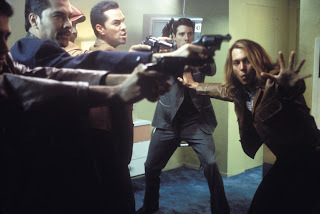 Despite a central character who is more a go-between than an instigator, Blow is never less than interesting thanks to Depp's icy but engagingly charismatic performance, and solid support work from the rest of the cast. Director Ted Demme, working from a script by Nick Cassavetes and David McKenna, amps up the flash factor but also keeps an eye on the human drama by maintaining a running interest in the evolving relationship between George and his father Fred. The massive wealth that George accumulates from the drug trade appears at first to be the son exceeding the father's achievements, only to become a harsh lesson emphasizing the values that Fred tried to impart to his son at an early age, values that George contrived to understand way too late in life. The film is lacking even a passing reference to the victims of drug addiction who are the end users of George's cocaine business. Blow treats illegal drugs as any other commodity except with a more complex supply chain. If George ever gave a second thought to the misery that he was helping to create in the world, Blow isn't interested to know. In one of life's many ironies, Demme died in 2002 at age 38, less than a year after Blow was released, of a heart-attack likely aggravated by the cocaine found in his system.